In a report issued on December 3, Michael J. Baker from Raymond James maintained a Buy rating on Charles River Labs (CRL), with a price target of $150. The company’s shares closed yesterday at $133.62, close to its 52-week high of $139.72. According to TipRanks.com, Baker is a 3-star analyst with an average return of 5.5% and a 71.4% success rate. Baker covers the Services sector, focusing on stocks such as WellCare Health Plans, Express Scripts, and Magellan Health. The word on The Street in general, suggests a Moderate Buy analyst consensus rating for Charles River Labs with a $144.60 average price target, which is an 8.2% upside from current levels. In a report issued on November 20, Argus Research also maintained a Buy rating on the stock with a $155 price target. Based on Charles River Labs’ latest earnings release for the quarter ending September 30, the company reported a quarterly net profit of $60.37 million. In comparison, last year the company had a net profit of $52.47 million. 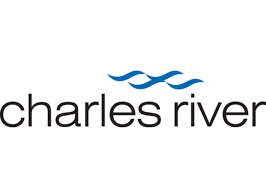 Charles River Laboratories International, Inc. is an early-stage contract research company, which provides essential products and services to help pharmaceutical and biotechnology companies, government agencies and academic institutions.